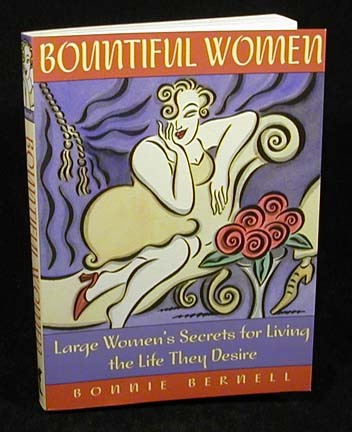 Author Bonnie Bernell's gift is to make visible the everyday heroines all around us, the large women who prove through their courage, humor, and sheer heart that you do not have to be rich and thin to have a satisfying life. Fascinating interviews and case histories of real women. Wildcat Canyon Press, 203 pages. We love this book, but we don't stock it. If you would like to buy a copy, please go to their website, which will tell you more about the book, author, and links to order it directly from Barnes and Noble or Amazon.com.